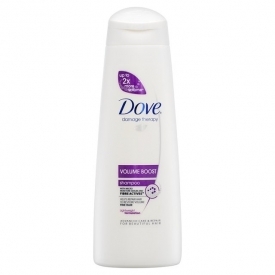 Dove Volume Boost Shampoo with Micro Moisture Serum and Fibre Actives. Helps repair fine hair to restore volume. Fine hair is more prone to damage, it loses volume quickly. So fine hair needs special care that can nourish without weighing it down. This unique Lightweight formulation contains Fibre Actives and strengthens the structure of fine hair from the roots building thickness and volume for your hair. Leaves hair strong and volumised. Aqua, Sodium Laureth Sulfate (A) / Sodium C12-13 Pareth Sulfate (B), Cocamidopropyl Betaine, Sodium Chloride, Glycol Distearate, Parfum, Glycerin, Carbomer, Sodium Hydroxide, Guar Hydroxypropyltrimonium Chloride, Sodium Laureth Sulfate (B), Trehalose, Gluconolactone, Adipic Acid, Sodium Sulfate, DMDM Hydantoin, Dimethiconol, Sodium Benzoate, TEA-Dodecylbenzenesulfonate, PPG-12, Citric Acid, Disodium EDTA, Mica, TEA-Sulfate, Triethanolamine, Methylchloroisothiazolinone, Methylisothiazolinone, Amyl Cinnamal, Benzyl Alcohol, Benzyl Salicylate, Butylphenyl Methylpropional, Citronellol, Hexyl Cinnamal, Hydroxycitronellal, Limonene, Linalool, CI 15895, CI 19140, CI 77891. The fresh scent is really nice and lasts! It leaves your hair very soft and has helped to reduce breakage in my hair. It does not seem to remove coloring from the hair like a lot of products do(I dye my hair on a regular basis). As with all shampoos, the conditioner bottle runs out before the shampoo does. 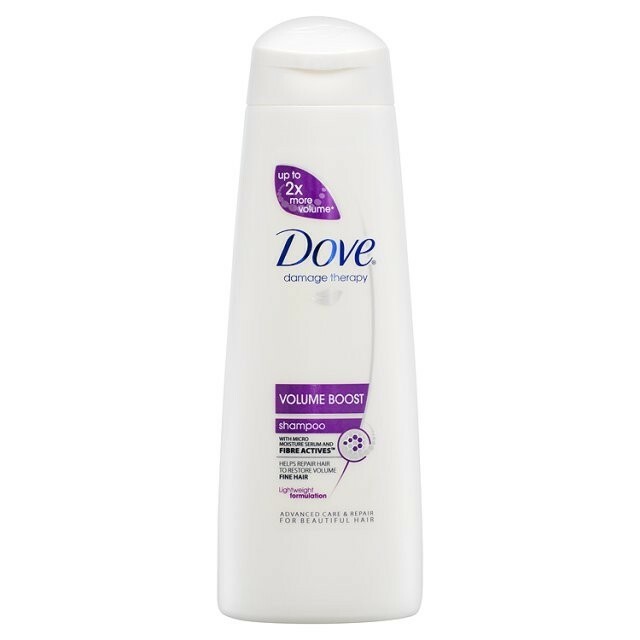 Dove has always had great products and this one is one of their best. It does what it says it does, given that the user cannot expect overnight results when repairing damage. The price is a great value for a such a product! I feel that Dove is on an equal footing with, and delivers a more price conscious alternative to, higher priced "designer" products.